Welcome to the magnificent Maine coast. Whether you have sailed here summer after summer or are discovering it for the first time, the coast of Maine will challenge you and reward you. For almost three decades this guide has been the definitive reference of the coast. It is an honor to be ushering in a new, sixth edition. Use this guide to plan your trip or to make it up as you go. Most importantly, use it as an invitation to explore. Look at a chart. Geologically, the Maine coast is a complicated mess. This is no humdrum straight-shored bay or sound, no soft-bottomed, marshy backwater, no wide-open, set-the-autopilot-and-go ocean. It has all those elements. But the Maine coast is a flooded mountain range, its shorelines scribbled in unforgiving granite. Rivers slice inland. Bays spill seaward. Islands and ledges and rocks pepper the place, hidden sometimes by massive tides, exposed at others, or lurking behind a bank of fog. Keep looking at that chart. 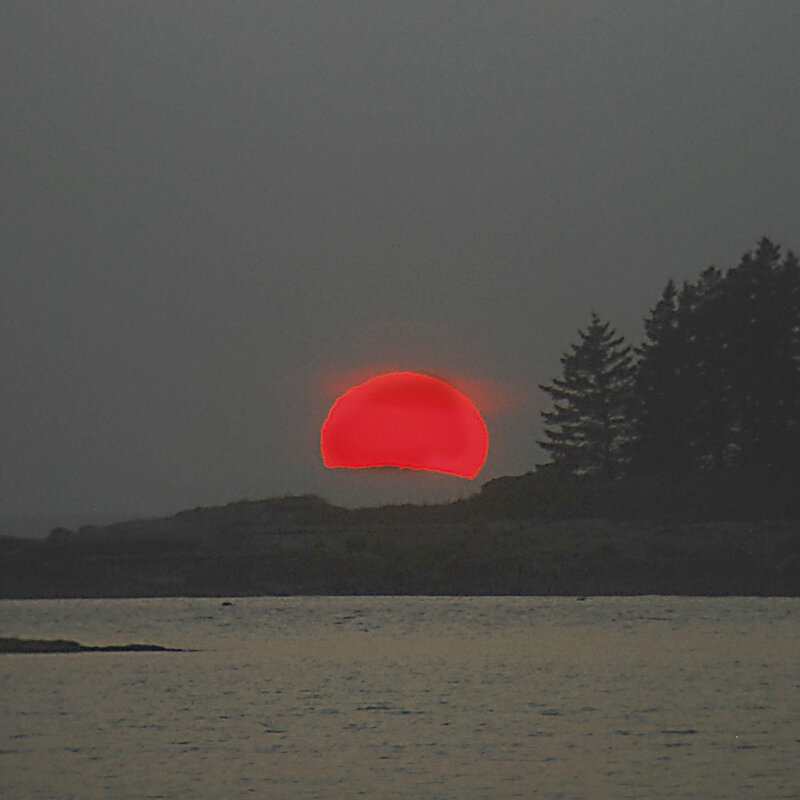 The Maine coast is a place where you need to know where you are. The rewards are rich. The harbors are deep and safe and fascinating. The problem is not reaching one, but passing too many. The communities are unique and hardworking and, if you come with respect and humility, welcoming. In settled weather, the wind is reliable. The evenings are mostly tranquil. You can find mountains to hike, headlands to explore, and beaches or smooth, warm granite where you can rest your bones. There are clams to dig, or mussels to pick, or lobsters to steam for dinner—or you can find incredible restaurants if you would rather leave it to the pros. Kindred spirits are docked in ports like Camden and Boothbay Harbor and Northeast Harbor, or you can opt for utter seclusion, sharing your cove only with seals and ospreys. 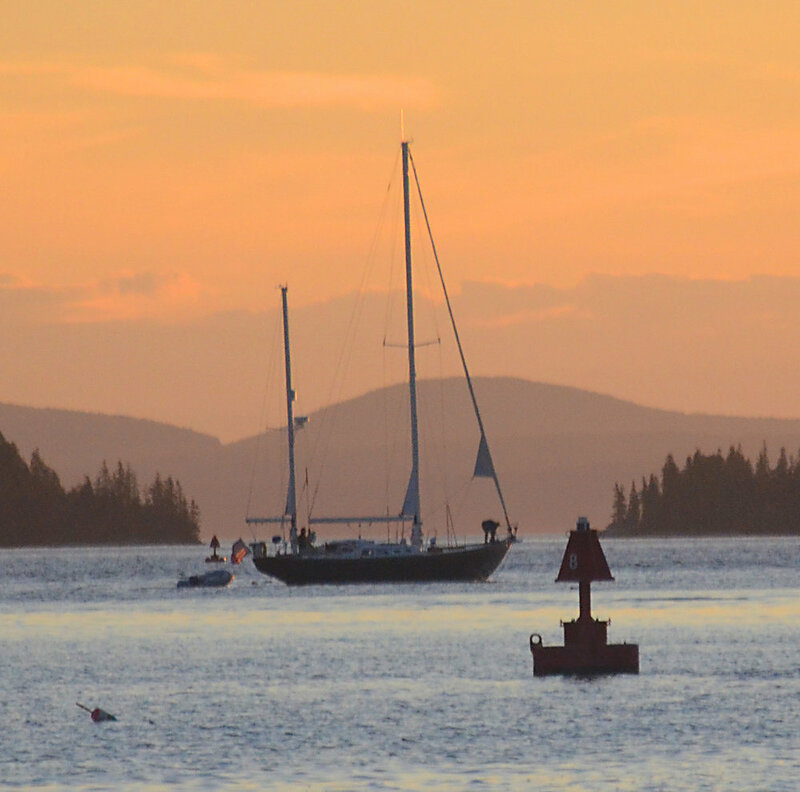 By any measure, the coast of Maine is one of the world’s best cruising grounds. This guide divides the Maine coast into seven distinct regions, each with its own unique geography and feel. An additional region covers New Brunswick’s Fundy coast and the Saint John River. We bring you as much specific detail as possible about every cove and gunkhole, every headland and tight tickle, every coastal town and staunch island community. We offer advice on navigating in fog and among lobster buoys, on anchoring in large tides, on crossing into Canada. We suggest marinas and moorings, hurricane holes and hikes, and routes and restaurants. The level of detail and accuracy of this guide is the result of passion—for the coast, for cruising, for people, for sharing. It was a life-changing project for the original authors Hank and Jan Taft, and it has been my personal pleasure to build on that work for the past 23 years. This is not a guide written by a committee or underwritten by sponsors. Instead of bringing you the crowd-sourced opinions of many, it brings you first-hand knowledge and reliability. Other cruising boats have been noticeably scarcer in recent years. Fewer boats might indicate a lack of something else: time. In this age of two-income families, instant communication, constant multitasking, and phones that can talk by themselves, fewer and fewer families have the time to commit to something as anachronistic as coasting along an unspoiled shore. From that vantage, we cruisers may begin to seem as quaint as the Maine coast, something from another era, something pointless, indulgent even. Who has the time for that? And why, if you had the time, would you go to all that trouble to do, well, nothing? The questions answer themselves. Now, more than ever, we need a place like the Maine coast, where life is reduced to its bare elements: the rise and fall of the tides, the shift of the wind, the call of a loon, or the impossible appearance of a leviathan rolling out from the deep. We come for the smell of sun-warmed water, the safety of a secure anchorage, the feeling of soft moss underfoot, or the sound of the breeze in the spruce. We come here for something fundamental. Fortunately, we have come to the right place. We come because the raw, uncompromising beauty and power of the Maine coast help us recalibrate our sense of what is and what is not important. We come to speculate on our purpose or our insignificance, or both. We come because the coast’s scale and timelessness reduce us to the momentary sparks that we are and at the same time jolt us with knowing that we are blessed to be a part of it all. In our head it almost feels like wisdom. In our heart, it’s transcendence. It may hit you while you are on a broad reach barreling toward a distant island, spray flying and the saltwater hiss singing past the leeward rail. You may feel it when you are in your dinghy at night, painting a swirling trail of luminescent oar strokes in the still, inky water, disturbing only rubbery reflections of the stars overhead. Or perhaps it comes to you after you have blown out the lantern and turned in, your bunk rocking gently, the water lapping the outside of the hull, your face still flush from sun and wind. We sail the Maine coast because this complicated place reminds us with profound simplicity of who and where we are. We come because every once in a while, we all need to look at that chart. On a large chart, the southern coast of Maine, from Kittery to Cape Elizabeth, appears almost featureless, sweeping northward from Cape Cod in a series of shallow bays, punctuated by an occasional rocky headland or tidal river, dotted with relatively few islands. Clearly this is not the fabled rockbound coast of Maine..
Casco Bay is where the Atlantic coast, tending north all the way from Florida, turns a sudden corner and breaks out in a flourish of islands. The great sand beaches of Maine’s southern coast end abruptly and rocky promontories and ledgy islands begin. 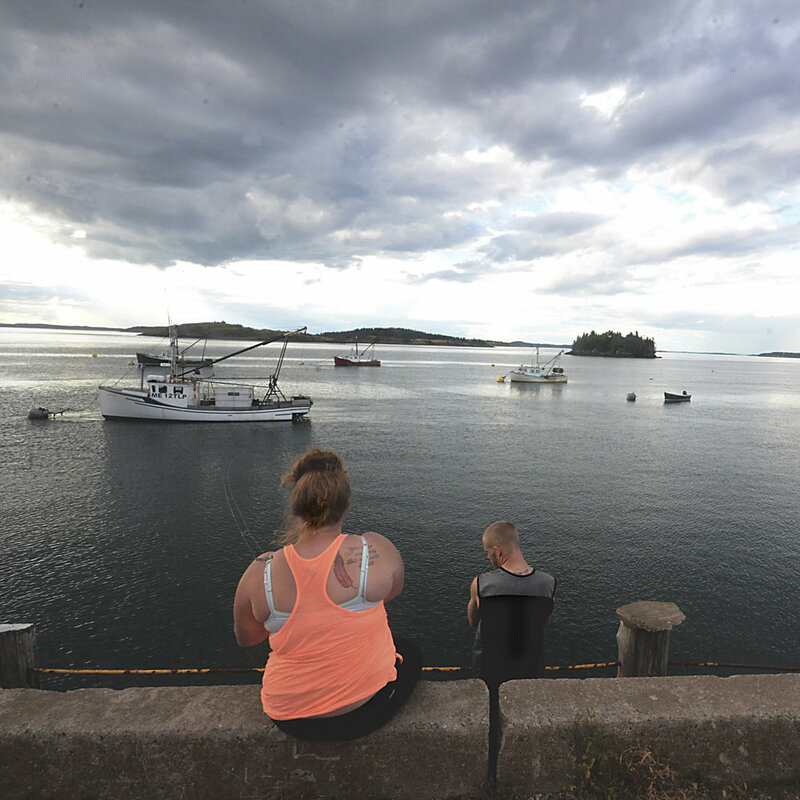 As the early explorers reported, there are hundreds of islands, large and small, in Casco Bay. Once known as the Calendar Islands, one for every day of the year, they are the peaks of three parallel ranges whose flanks are drowned in the bay, the valleys between gouged by glaciers that stood a mile thick on this land 13,000 years ago. The magic of the midcoast, from Cape Small to Marshall Point, is less familiar to cruising sailors than almost any other part of the coast, except, perhaps, for way Down East. Study the chart, and the reason becomes obvious. For here, the land and sea hold equal sway. There is no straight line course, no rhumb line, no as-the-crow-flies. Here, geography forces wandering, meandering, poking around. Dream of perfect cruising grounds, of islands large and small, grand and modest, of intriguing harbors and alluring towns, of broad reaches and narrow tickles, of gritty fishing villages and sophisticated summer resorts, of lonely outposts lost in time. There is such a place, and the place is Penobscot Bay. Against the mountainous backdrop of the Camden Hills to the west, Penobscot Bay spreads 40 miles long and 15 miles wide, graced by more than 200 islands. Between them lie great stretches of open water and small, winding thoroughfares. Along their shores are bustling fishing communities, quaint villages, isolated outports, and uninhabited beauty. This is the heart of cruising in Maine, and some of the best cruising in the world. Some of the most staggeringly beautiful cruising on the coast of Maine lies off the island of Mount Desert. Off Deer Isle, intricate islands pepper Merchant Row and meld together as Jericho Bay expands. Swan’s Island and staunch Long Island lie offshore. Broad and deep Blue Hill Bay sweeps inland to the sophisticated town of Blue Hill. Frenchman Bay embraces the enclave of Sorrento, the bustle of Bar Harbor, and lonely Schoodic Point. And in the middle of it all, the age-old mountains of Mount Desert rise from the sea in craggy grandeur. As you pass Schoodic Point heading east, civilization falls behind, and you enter a more primitive world—one where fishing and lobstering are all-important, and the affairs of Boston and New York seem far away and insignificant. 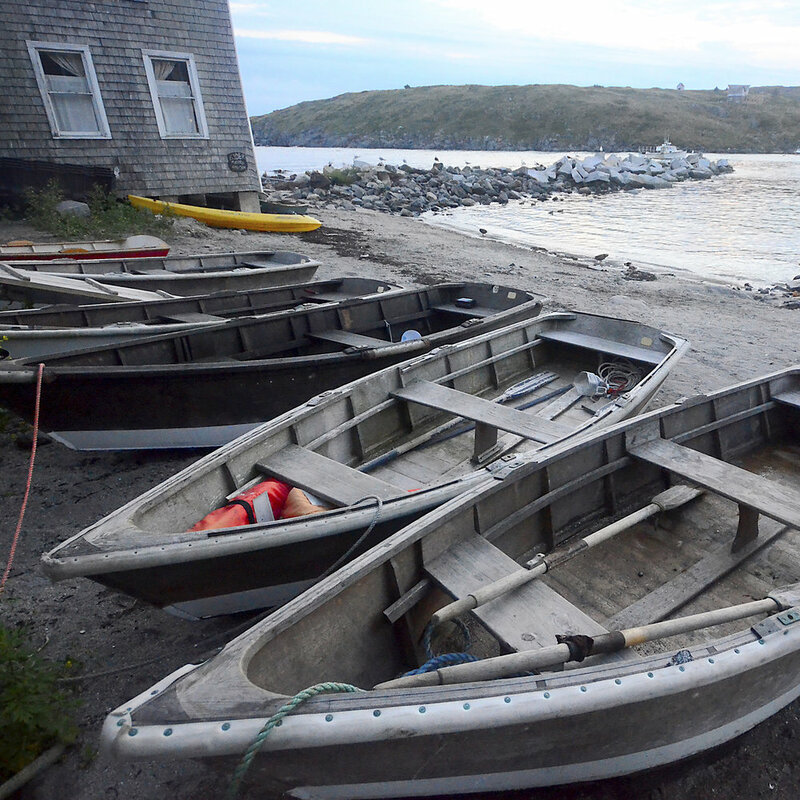 All the coves are working harbors filled with lobsterboats and trawlers, where the docks are piled high with traps and bait barrels. Yachts are rare, and facilities for yachts are almost nonexistent. The last big marina lies astern, so now you must depend on your own resources more than ever. Canada lies before you. Just a few miles off rugged West Quoddy Head lies New Brunswick’s Grand Manan Island, with foggy cliffs, snug harbors, brightly colored fishing boats, and friendly people. Across Lubec Narrows lies Campobello, best known for Franklin Delano Roosevelt’s summer cottage of the same name, now an international park. Due north is the splendor of Passamaquoddy Bay, teeming with fish and birds, dominated by giant tides, and guarded by swift currents and whirlpools. The St. Croix River flows into Passamaquoddy Bay from the north, marking the border between the United States and Canada. It passes St. Croix Island, where Samuel de Champlain established the first European settlement in 1604. And it empties into the bay at the resort of St. Andrews, founded by Loyalists who barged their houses from Castine when they fled from the United States in the aftermath of the American Revolution. Once through the Grand Manan Channel, the wide-open and temperamental Bay of Fundy lies before you. Huge tides of icy water move in and out of the bay and turn warm, moist air into concrete-thick fog. When the wind blows against the strong currents, the bay is whipped into steep, unruly waves. At other times, Fundy lies under a glass surface, lulling, warm, and beguiling.